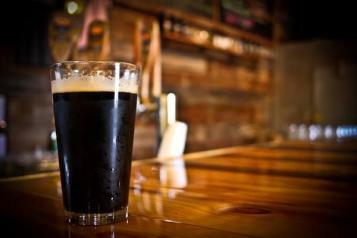 In just one short year, Johnston County has entered the craft beer industry with two breweries opening in 2013. 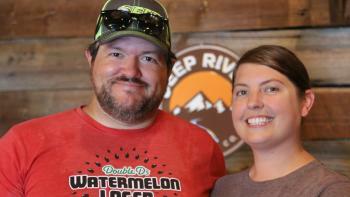 Deep River Brewing in Clayton, opened their doors in April 2013 and Double Barley Brewing opened in September. As our new breweries build awareness, expand distribution and gain new customers, they have the opportunity for the first time to be part of the NC Beer Month, April 1-30. The NC Division of Tourism, Film, and Sports Development is celebrating "all things beer" across the state from Asheville to Wilmington in 26 communities. North Carolina now has over 100 breweries and this industry continues to grow like the wineries around the state. The month-long list of activities includes festivals, sweepstakes, hotel packages, food parings in area restaurants and much, much more. You can follow activities on Twitter, Google+ or use #NCBeerMonth to keep connected. In our area of the Triangle (only 30 minutes east of Raleigh), Deep River will be hosting a First Year Anniversary Party on April 4-6 with new brews, food, music and a whole lot of fun. We have enjoyed getting to know Paul and Lynn Auclair this year, working together to expand our Wine Trail to include breweries and to promote their events. Likewise with Larry and Cheryl Lane of Clayton, we have found brew masters are fun, creative, hard-working folks and we think the world of both couples....and we thank them for choosing Johnston County to open their businesses. Double Barley Brewing&apos;s Lounge-like Tap Room also offers a variety of appetizers. As a marketing organization...we want to bring more visitors to Johnston County, and by working closely with our breweries and hotels, we have several special rate offers for NC Beer Month on our website. Visitors will enjoy hotel discounts, as well as, coupon offers from the breweries upon check-in. For the full list of special events at the breweries for live music, food trucks, and other happenings, visit their website calendars for details. And for an in-depth look at each business, click here. We know you will love their unique brews and getting to know Paul, Lynn, Larry and Cheryl. Happy NC BEER MONTH...let us know what local brews are your favorites! Post up your picture with your favorite brew on our Facebook page and receive a set of JoCo Postcards!